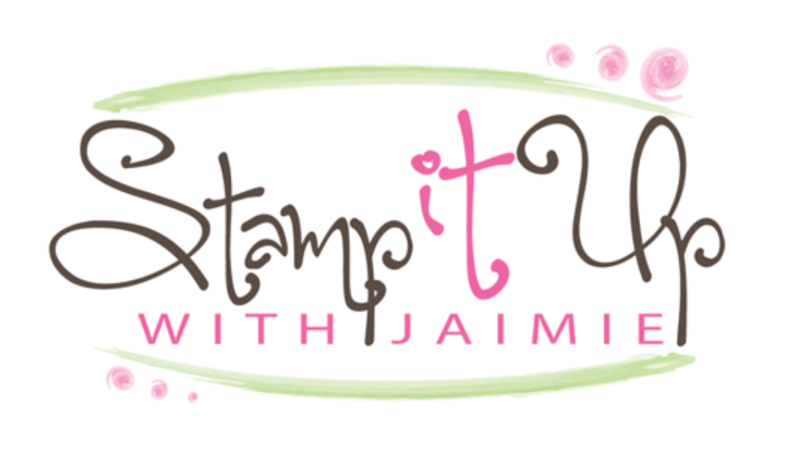 Had some fun playing with the new In Colors and the Simply Pressed Clay that will both be available on May 31 from Stampin’ Up! I used my Hearts a Flutter Framelits Die to “cut” the Simply Pressed Clay while it was still wet, it worked a lot like a cookie cutter…so fun! My card design was inspired by the Sketch Frenzy Friday 051713. I started by cutting the little strips of 2013-15 In Color card stock to just a hair over 1/2″ x 4″. There was no measuring mark on my Stampin’ Trimmer for the exact size that I needed, the 1/2″ mark was too small and the 5/8″ mark was too big so my “official” measurement is just a hair over 1/2″. 🙂 To make it easier to keep everything straight, I lined up my strips in the order that I wanted and adhered them to a panel of Whisper White card stock with SNAIL. Then I stamped the Hearts a Flutter images on a Top Note Bigz die cut from Whisper White card stock in Baked Brown Sugar, Pistachio Pudding, Strawberry Slush, Coastal Cabana and Crisp Cantaloupe ink. I adhered the Top Note stamped panel over the card stock strips with SNAIL. Then I punched Small Heart Punches from each color and adhered them with Stampin’ Dimensionals down the left side of the panel. I inked up the just for you sentiment from the Pop-Up Posies Designer Kit with Baked Brown Sugar and Pistachio Pudding ink and I stamped it on Whisper White card stock. 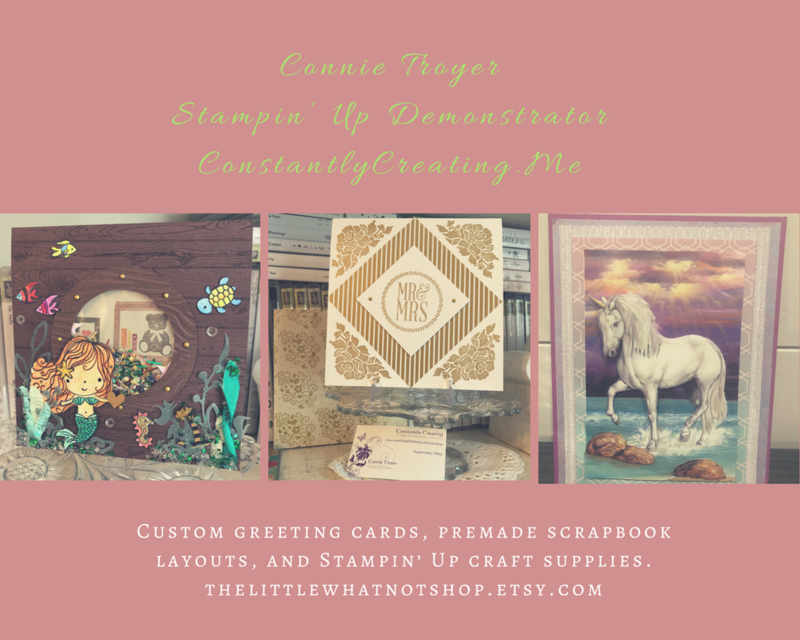 I punched the sentiment out with the Large Oval Punch and adhered it with SNAIL to a Scallop Oval Punch from Baked Brown Sugar card stock, then to the card front with Stampin’ Dimensionals. I added a little bit of Coastal Cabana, Strawberry Slush and Crisp Cantaloupe ink to 3 small pieces of Simply Pressed Clay, kneaded in the color and smashed them flat with one of my Clear-Mount Blocks. I used my Hearts a Flutter Framelits die like a cookie cutter and pressed it down into the clay and that worked to cut out the heart shapes. I set them aside and let them dry completely (took about 4 hours), then sponged the edges with a little more ink and adhered them to the card front with Sticky Strip. I added a rhinestone to the center of each heart punch and clay die cut and adhered the decorated panel to a Baked Brown Sugar card base with Stampin’ Dimensionals. I stamped the heart images again on a Whisper White panel and I adhered it to the inside of the card. This entry was posted in Anniversary, For a Friend, For You, Love and tagged Amy Koenders, Demonstrator, Hearts a Flutter, Oregon, Pop-Up Posies Designer Kit, Portland OR, stamp with amy k, Stampin Up. Bookmark the permalink. How wonderful is this card..?!!! Looks like a lot of planning and work, but fabulous result! Love that you thought of using our framelits to mold the clay…love this stuff…thanks for the inspiration! What a cute card Amy, I love the new colors…and what a great idea to use the framelits to make the heart shapes! How clever you are to cut the clay with the framelits dies! Love that idea! And your card is just beautiful! So many great details! Thanks for joining us at Sketch Frenzy Friday! Thanks for an awesome sketch! What a fabulously creative card. Love how you used the clay to make your own embellishment. Very lovely. And what a great way to use the new colors. Thank you for playing along with us @ SFF. Love this card…great use of the heart frame lit as a cookie cutter. Love all the new in colors.